Justice Miller was appointed by the Supreme Court as an initial member and CJEO vice-chair in 2009. Appointed to the Riverside County Superior Court bench in 1995, he served as the presiding judge of his court and as the supervising judge of the desert judicial district. Justice Miller was appointed to the Fourth District Court of Appeal, Division Two, in 2006. As a California Judges Association member, he has served as vice president and on its executive board of directors. Justice Miller has served the judicial branch and the public as a member of the Judicial Council and as the chair of the Judicial Council Executive and Planning Committee. He has also served on the Judicial Council Commission on the Future of California’s Court System, the Commission on Access to Justice, the Commission for Impartial Courts, the California State Bar Task Force, the Bench-Bar Coalition, the Trial Court Presiding Judges Advisory Committee, the Continuing Judicial Studies Program Education Committee, and the Task Force on Judicial Ethics Issues. 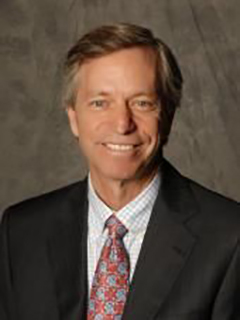 His educational contributions include being an instructor and facilitator for the California Center for Judicial Education and Research at Presiding Judges Orientation and Judicial College, an adjunct professor of law at the University of LaVerne School of Law, and a lecturer at Brigham Young University School of Law. Justice Miller is the president of the Boys and Girls Club of Coachella Valley and has served on the National Area Council Committee of the Boys and Girls Club of America since 2010. In 2016 he received the Jeremiah Milbank National Gold Medallion Award. Justice Miller received the Marin Luther King Award from the Mid-Valley Interfaith Council in 2007.